In this young adult novel, a teenager thinks that she has done something so bad, that the only person who could possible understand, is a convicted murderer on death row. The book takes the form of letters sent to this prisoner, telling him her secrets and slowing revealing the story. It did hook me in at the start, but went on too long and fell rather flat for me in the end. The extreme guilt for the ‘crimes’ committed by herself and her mother, were not as believable as I had hoped. The novel lacked depth and redemption. The book does illustrate how hard it is for teens to confide in anyone at all. And the author does capture well the type of angst a teen can feel when things are difficult at home or at school. Even friends can easily let you down and it is easy to feel very alone in the world. Pitcher’s other book ‘My Sister Lives on the Mantelpiece’ is an award winner, so perhaps I should have picked that one up instead of this newest one. 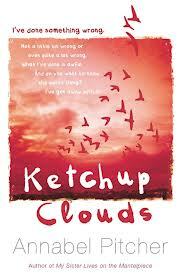 This entry was posted in Young Adult and tagged Annabel Pitcher, Ketchup Clouds. Bookmark the permalink. You are amazing! You read so fast and so widely! I re-read Charles Martin’s “The Dead Don’t Dance” after we returned from England. (I think I commended his writing to you), and am now starting “Call the Midwife” which was recommended to me. 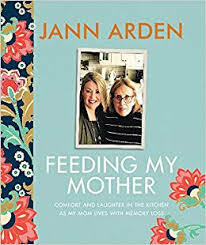 Love reading your reviews! Thanks Laura! And still my reading pile is a mile high! But I figure the good books will always still be around when I have time to get to them. I bought ‘Unwritten’ by Charles Martin on my Kindle and I’m excited to get to it. Probably on the plane to Canada in a couple of weeks. Thanks for your recommendations!